Offering the design of a coupe, the space of a saloon and the versatility of an Avant, the Audi A7 Sportback offers the best of all worlds. 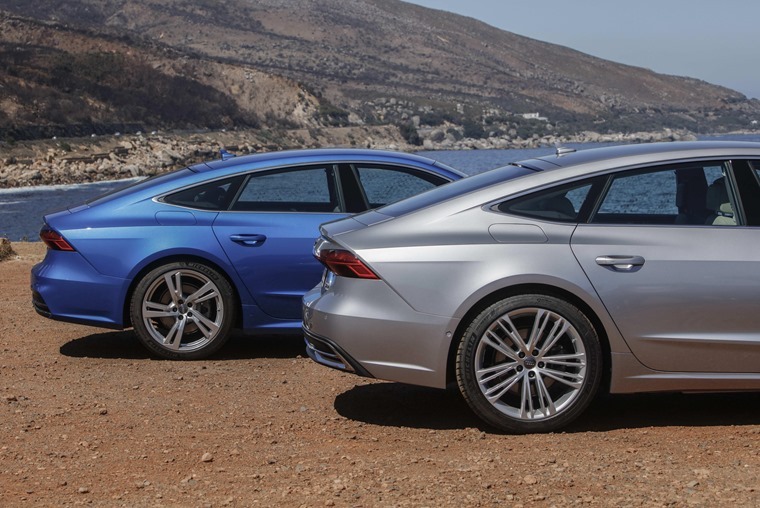 Now, the already broad appeal of the A7 Sportback is being expanded once more with the introduction of a new lead-in V6 TDI version that can be ordered now. This is due in part to the 48V mild-hybrid drivetrain fitted as standard, which in real-world driving reduces fuel consumption by up to 0.7 litres per 100 kilometres. At speeds of between 34 and 99mph, this enables the V6 engines to be deactivated and the Sportback to coast in freewheeling mode. Despite possessing the lowest power output of the current V6 line-up in the A7 Sportback, performance is still very much a priority – the 0-62mph sprint takes 6.5 seconds, with a 155mph top speed to call upon. 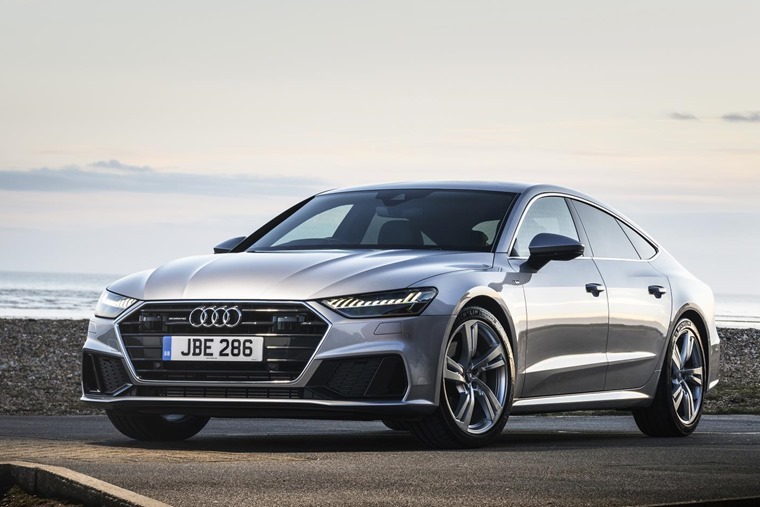 The Audi A7 has been a huge success from launch, with the front borrowing heavily from the new A8 with a wider and lower grille, narrower headlights and flat front end all helping to differentiate it. 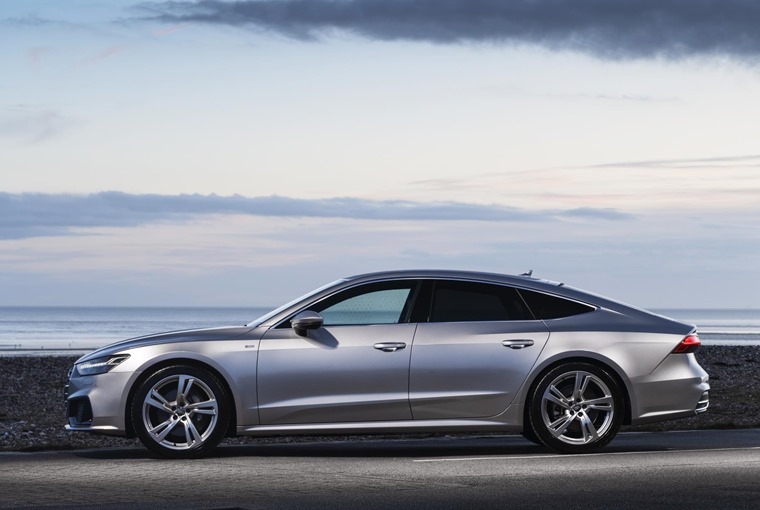 Lean and muscular yet also innately elegant, the new A7 is slightly shorter than the outgoing model at 4,969mm, but offers the same road presence thanks to its near identical width and height. Audi has also added 21mm more length to the cabin to improve passenger space. As with the previous model, the tapered rear terminates in a pronounced curved lip from which an integrated spoiler extends automatically at 74mph and above. A flat light strip – a design feature common to all of Audi’s top models – joins the rear lights and when the doors are locked or unlocked plays a fast-moving light animation. 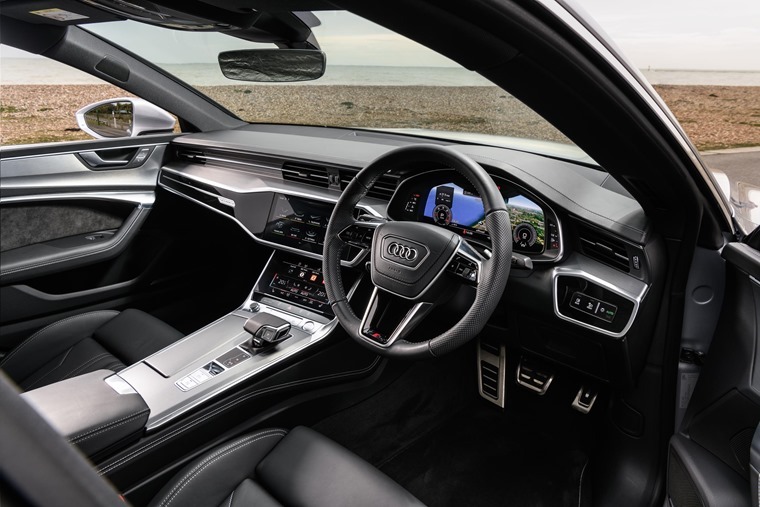 The interior of the new A7 Sportback has been conceived according to a reduced, clean design language – the centre console is oriented toward the driver, underscoring the Grand Tourer’s stated aim of combining progressive design, intuitive functionality and sophistication with inherent driver appeal. 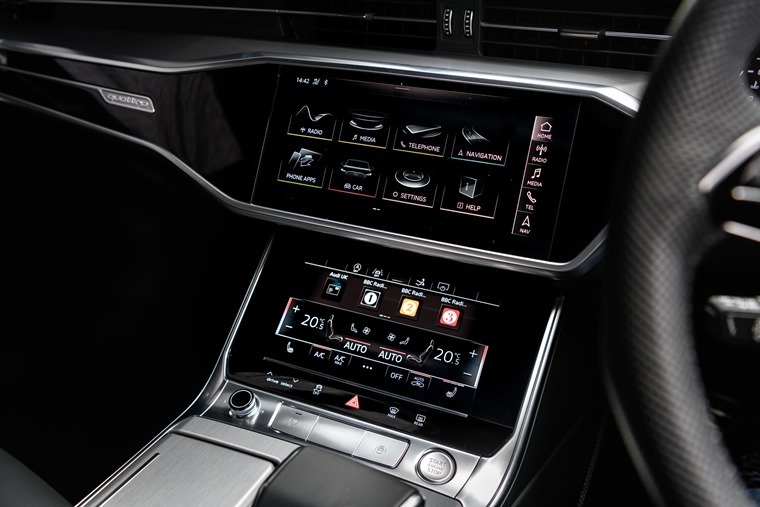 In common with the new Audi A8 the communications hub of the A7 Sportback is a new MMI touch response operating concept based around 10.1in upper and 8.6in lower touchscreen displays which appear to blend into the dashboard when switched off. The 10.1in upper display is tilted towards the driver, with the display’s user interface appearing as soon as the car is opened almost disappearing into the dashboard when switched off, while the 8.6in lower display is mounted on the asymmetric console of the centre tunnel and provides access to the climate control system, comfort functions and text input. The two large, high resolution touch displays replace the rotary controller and satellite button system used by the previous model. They provide haptic and acoustic feedback as confirmation when a fingertip triggers a function. Aside from the new V6 TDI lead-in engine, the A7 is also available as a 55 TFSI (3.0 TFSI V6 petrol with 340PS and 500Nm) or 50 TDI (3.0 TDI diesel with 286PS and 620Nm), with all models equipped with the aforementioned mild hybrid system (MHEV). The 50 TDI quattro can hit 0-62mph in 5.7 seconds with a combined MPG of 50.4, while the 55 TFSI quattro hitting 0-62mph in 5.3 seconds and offering a diminished 40.4 mpg.